So we started getting the weekend NY Times. Brendon likes to keep current on worldly affairs. I like to read the science section, which doesn’t appear to exist over the weekend. Despite this I found some really cool articles yesterday….food related of course. 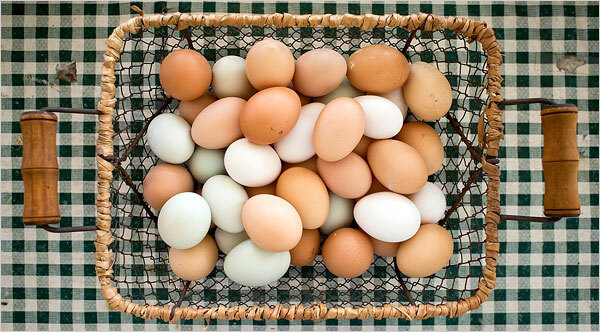 No Need for Hunting – mentions some great CT farmers and how easy it is for us to all get fresh eggs now. Factory Food – points out the disturbing proportion of packaged vs fresh foods consumed by a variety of nations. As Clattering Vestige of Maine Goes Quiet, Workers’ Anxiety Grows – the last sardine cannery in the US is shutting down. Entry filed under: In The News. Tags: CT Eggs, NY Times, Sardine Cannery.